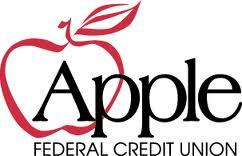 Apple Federal Credit Union offers its members up to a $35,000 credit line. Free auto rental insurance, travel assistance services, etc. Purchasing with peace of mind, that’s the Visa Zero Liability guarantee. The convenient, world-wide purchasing power of a Visa Credit or Check Card comes with the assurance that you will be protected from the possibility of fraudulent charges. Should unauthorized purchases be made using your card or account information, you will not be liable for these charges. Visa Credit Card users simply need to swipe their card to insure coverage; Check Card users must hit ‘credit,’ not ‘debit’ to activate Zero Liability protection. Credit Builder Platinum Visa and eXtras Student Visa Platinum are available for customers just starting out or rebuilding their credit.